IRIS 4-Drawer Storage Cart With Organizer Top Just $12.48! You are here: Home / Great Deals / Amazon Deals / IRIS 4-Drawer Storage Cart With Organizer Top Just $12.48! IRIS 4-Drawer Storage Cart With Organizer Top is now on sale at Amazon for just $12.48 PLUS FREE shipping with Amazon Prime or for orders over $25! Sort, organize, and streamline your space with your choice of storage carts! 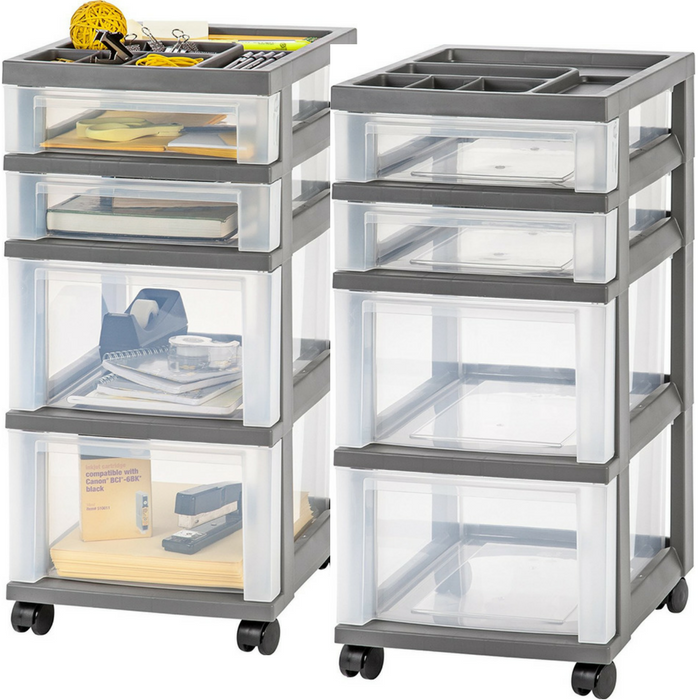 Shallow, deep, and file-sized drawers made from sturdy clear plastic make all your items easily viewable while removable casters provide effortless mobility. Perfect for any room where space is limited, from dorm rooms to offices to closets and more, IRIS USA has the solution to meet the most specific storage demands.